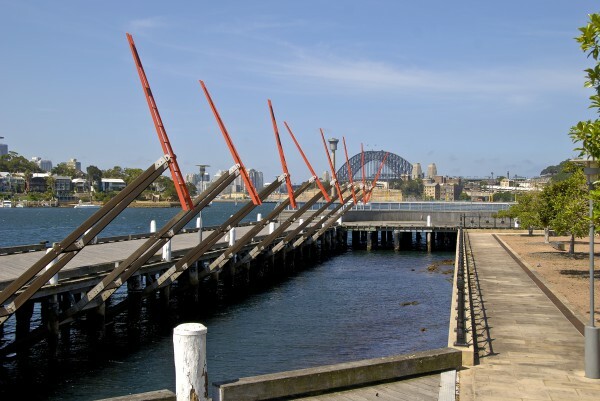 Aspire acknowledges the growth and perpetuation of neighbourhoods within the city landscape. 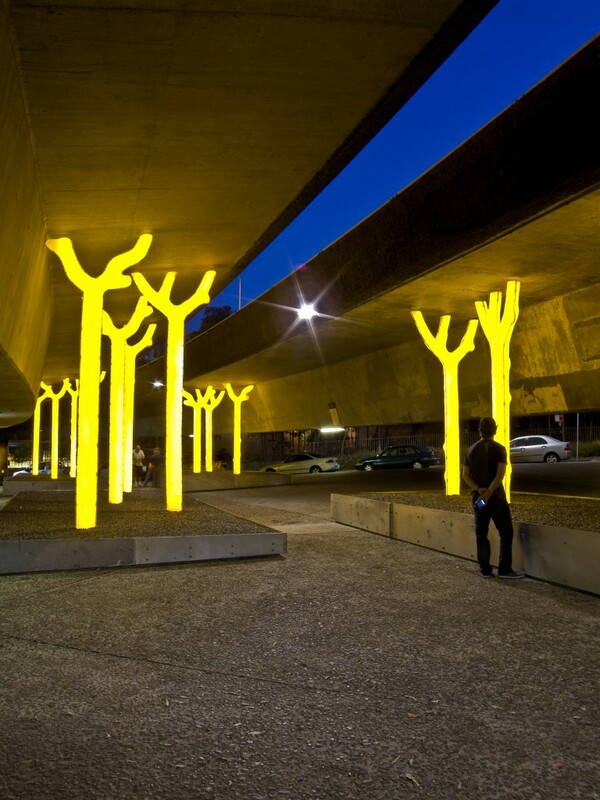 Aspire by Warren Langley features glowing golden trees which appear to rise up and hold aloft the enormous weight of the overhead freeway structure. 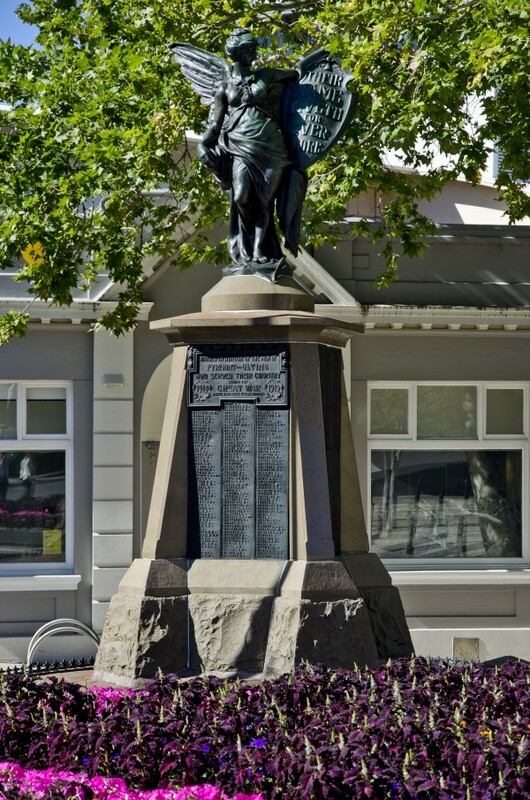 Located beneath the Western Distributor at Ultimo, this work references the community action in nearby Fig Street, which resulted in the preservation of local housing which was to have been demolished for the freeway. 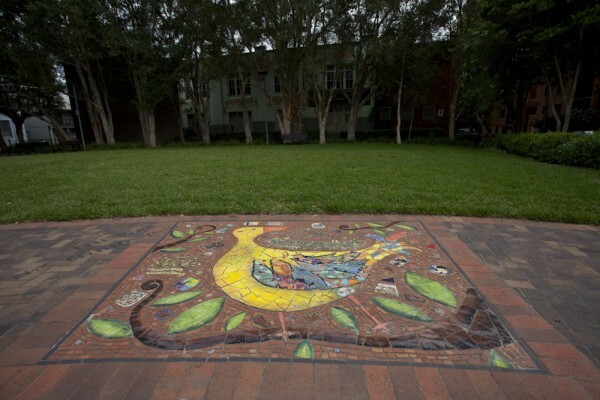 This artwork addresses the notion of aspiration which was evident in the community action. 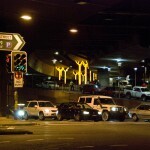 The sculpture in light provides a historical metaphor for this action. 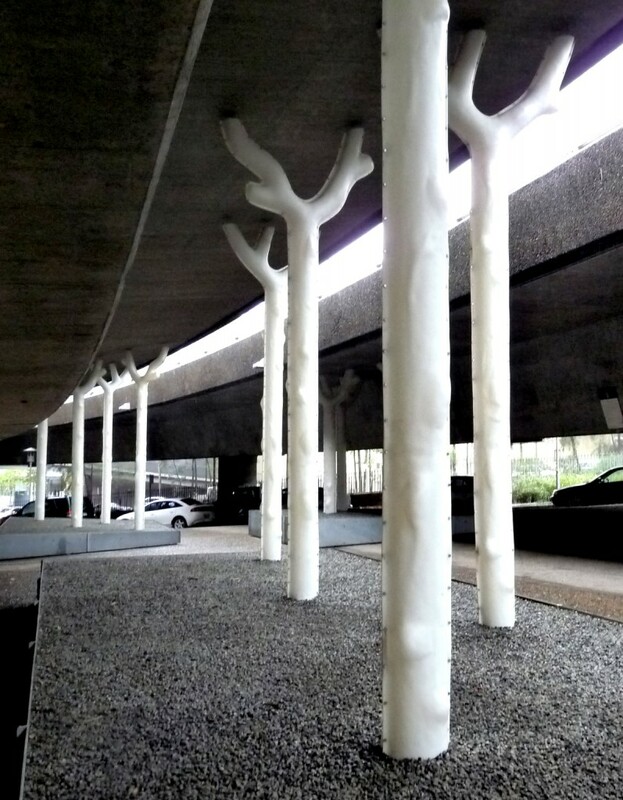 From a sculptural perspective the work intercepts the geometry of the site, by introducing an incongruous element between the contoured ground surface and the vast concrete planes above. 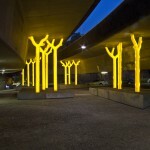 With the tree forms effectively wedged between the ground and the underside of the freeway, an illusion is created whereby the “forest” of illuminated trees appears to suspend aloft the visual weight of the freeway. 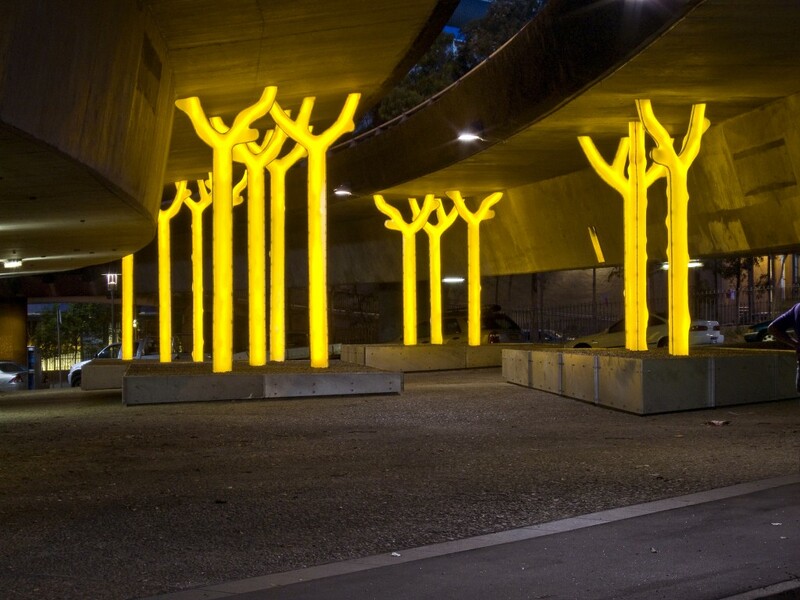 The glowing trees, made of high density polyethylene, can be enjoyed at close quarters by pedestrians, and from afar by passing traffic. 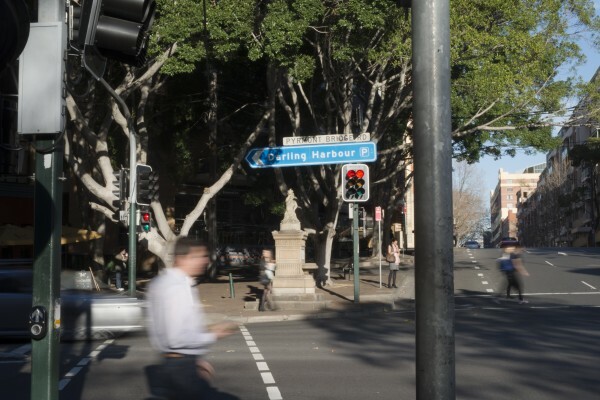 They improve pedestrian amenity and increase safety. 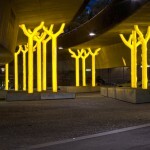 The appearance of the light sculptures varies depending on the surrounding ambient light levels. 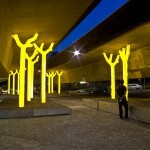 Warren Langley is a Sydney based artist who creates site related works for the built environment and natural settings. 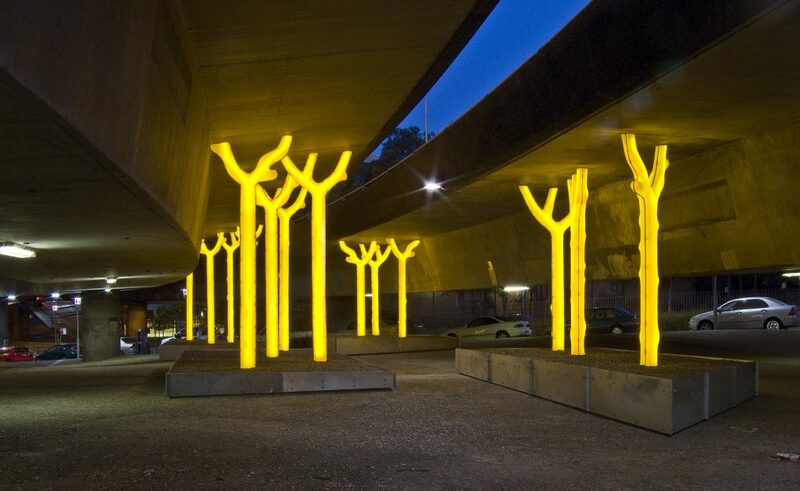 Light art, and works using light in conjunction with glass and other permanent materials, feature extensively in his work. 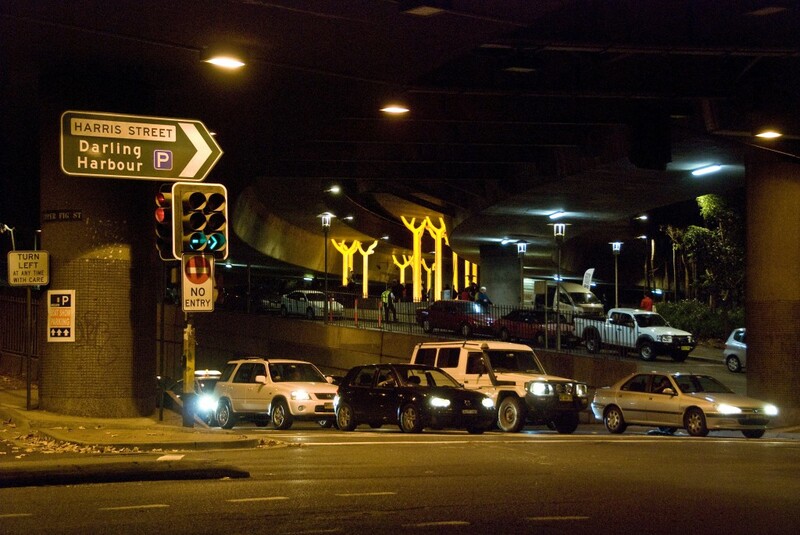 Aspire was the successful proposal for Life Under the Freeway, a public art project which started with local community workshops in 2000. 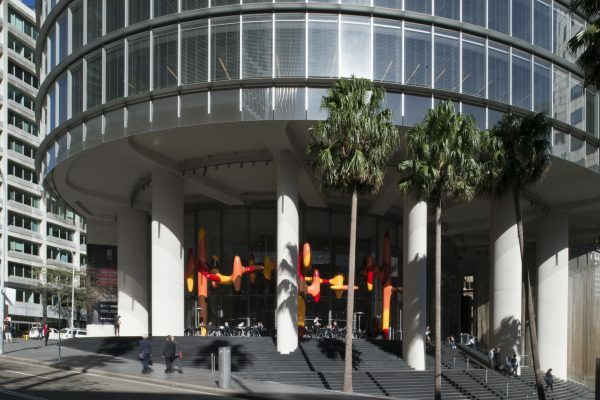 Artists responded to an open Expression of Interest and a shortlist of artists prepared concepts and tendered for the project. 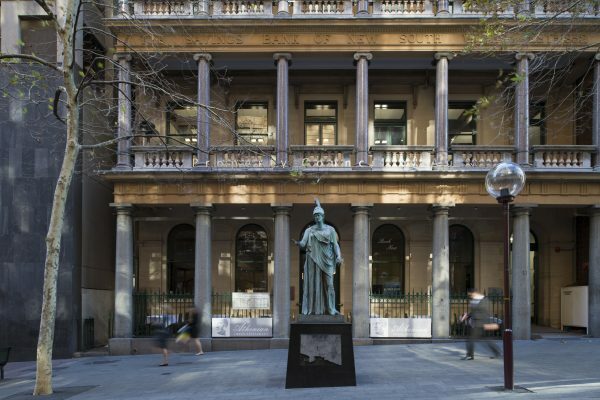 Proposals by the six shortlisted artists were on public exhibition in Ultimo for three months. 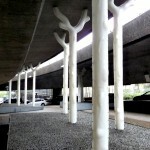 Members of the community were involved in developing the brief and selecting the artists. 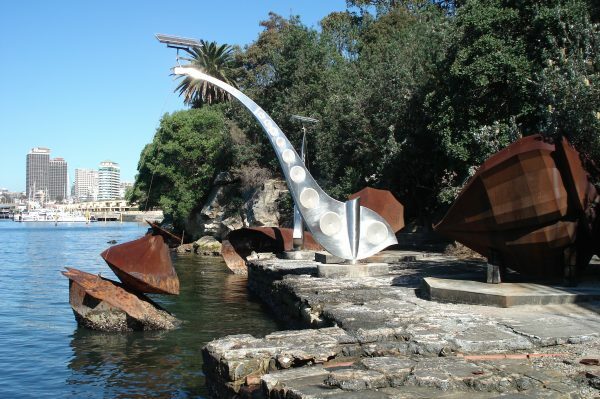 The selection panel also included members of the City’s Public Art Advisory Panel.